We are very excited to announce another unique event we are conducting on organizational design. 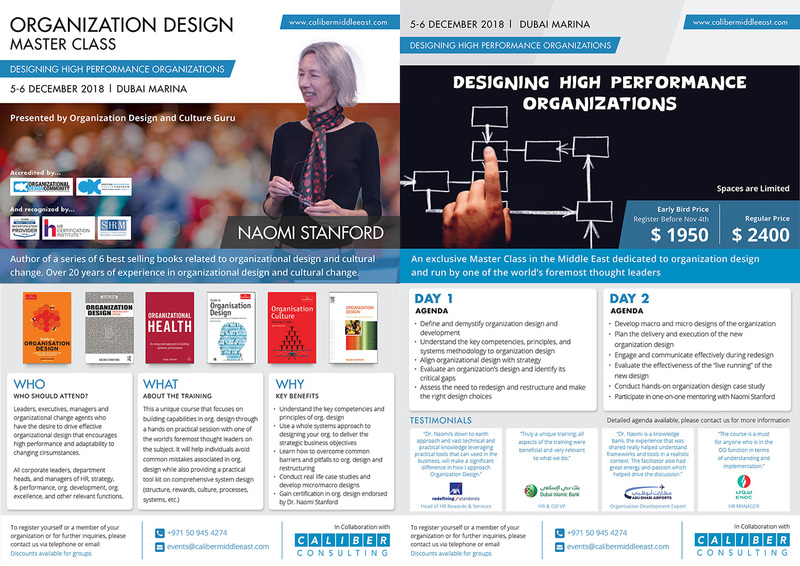 This 2-day masterclass will be conducted by the thought leader on organizational design, Dr. Naomi Stanford. The masterclass will take a deep dive and practical look at designing optimal organizational structures. However, it stresses the comprehensive systems approach to organizational design which includes alignment to strategy, rewards & performance, processes, culture, roles & responsibilities, etc. Official certification endorsed by Naomi Stanford will also be provided.